Whether you are a fishing enthusiast or just into any other water activities, a great life jacket is a must for you. There are several different life jackets or PFD available in the market with lots of amazing features, but buying a cheap life jacket that serves all that your PFD purposes pretty well is quite tough. Therefore, keep on reading to know in details about some of the cheapest PFD's that offer great performance and incredible buoyancy. What is the difference between a life jacket and a PFD? 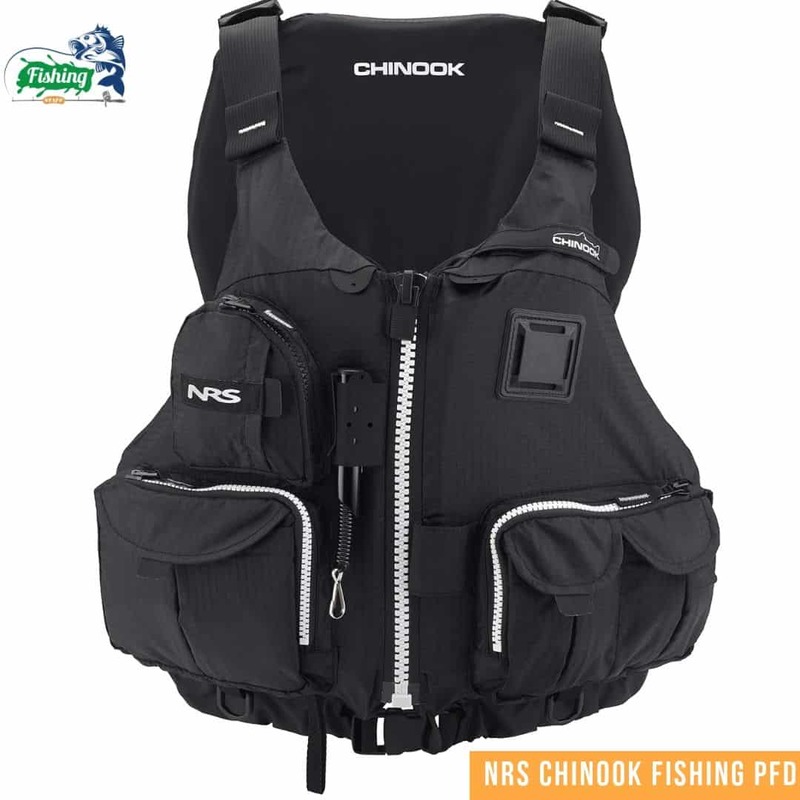 The Chinook kayak fishing PFD from NRS is one high-maintenance life jacket that offers top class performance to its users. This ripstop nylon made PFD features a mesh lower back that ensures serious ventilation during hot weather conditions while the roomy front-entry design that has 8 different adjustment points gives you the freedom to customize the jacket’s fit for maximum security and safety. Moreover, the back of this jacket comes with a strobe holder loop and has a D-ring to attach your net for more convenience. 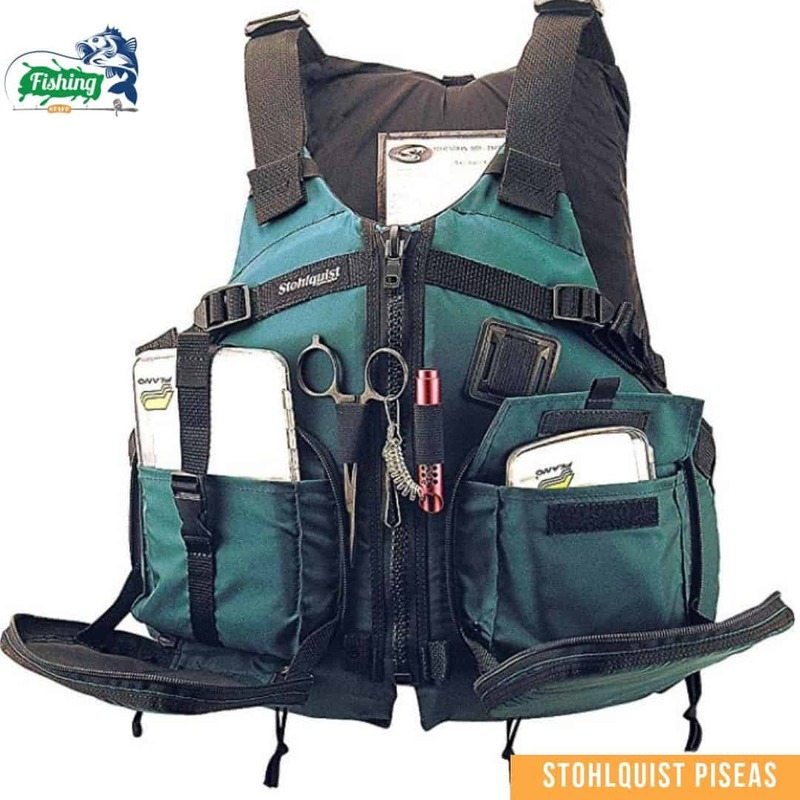 To add more, this PFD life jacket incorporates a coil tool re-tractor that enables you to carry around your forceps, line snips, and other necessary tools that you want to have handy while on a fishing trip. Even after keeping the price point of this Men's Reactor USCG Life Vest very budget-friendly, O'Neill didn’t sacrifice the quality one little bit; it is comfortable, flexible and most importantly this life jacket provides maximum safety to its wearer. The US Coast Guard approved this PFD because of its sturdy build quality and outstanding safety measures.Made from 100% neoprene and polyester, this PFD features two Quick Release safety buckles and a heavy-duty front zipper that makes sure that the user enjoys an unparalleled sense of security. 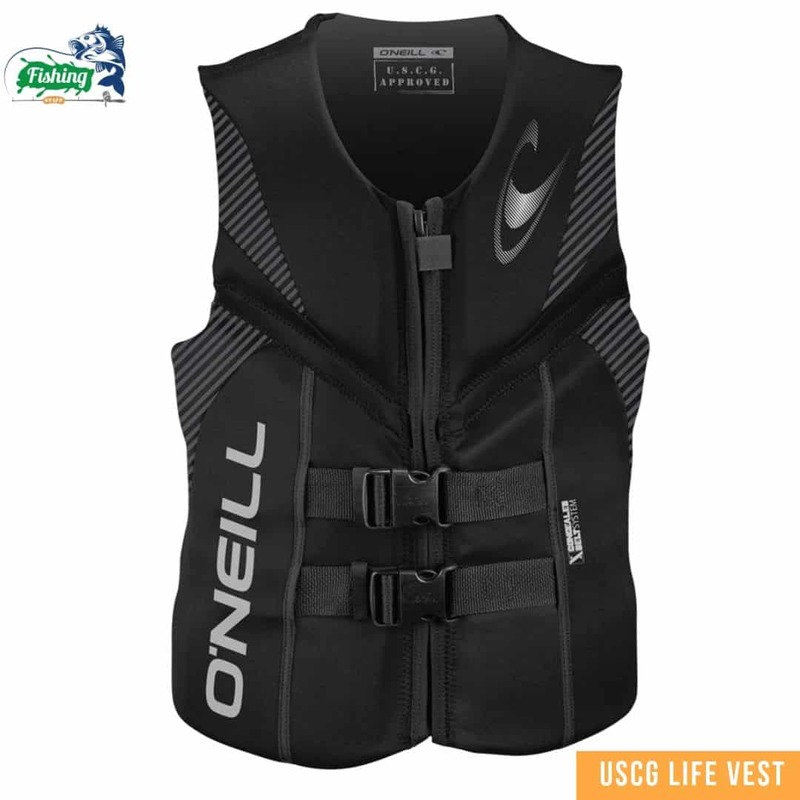 O'Neill also offers unrestricted mobility by incorporating segmented PVC Marine foam core in the vest body and featuring anatomical flex points, which also helps the wearer to float without any difficulties. This USCG-approved Type III PFD is considered one of the best kayak fishing life vests by many fishing enthusiasts because of obvious reasons. It incorporates an Exclusive Membrane Inflatable Technology™ inflation cell that not only contributes in making this life jacket super lightweight, more flexible and extremely comfortable but at the same time offers automatic inflation which automatically self-right most users within few seconds of water entry. Mustang also added a manual inflation cord and an oral inflator tube to this life jacket for extra amenity. Moreover, this super easy to wear and easy to use Mustang PFD comes with a 2inchs strong polypropylene waist strap and harness to ensure maximum safety and security of the wearer. 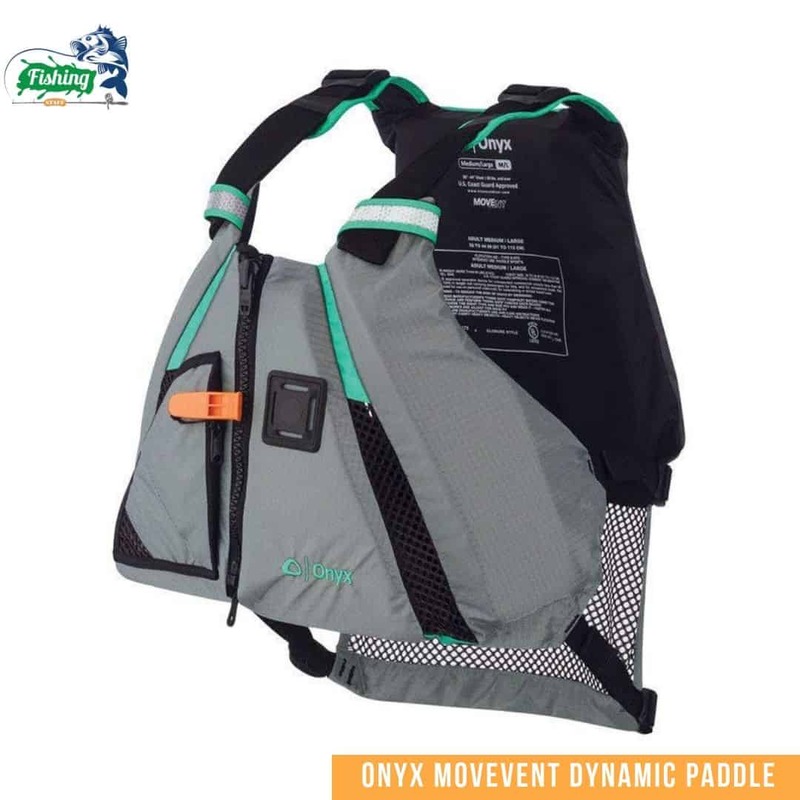 The U.S. Coast Guard approved this Onyx MoveVent Dynamic Paddle Sports Life Vest for its amazing safety measures; Onyx adorned this life jacket with SOLAS grade reflective material that ensures maximum visibility, even in the dark. Additionally, this PFD vest comes with a whistle attached to it to provide extra safety to its user. Moreover, the strong, durable zipper closure and side belts can be adjusted to fit you as perfectly as a glove to provide you more security. To add more, this flexibly designed life vest with made from 200 denier nylon ripstop and nylon oxford material with mesh details that provides great drainage and ventilation to keep you cool when the weather gets warm. 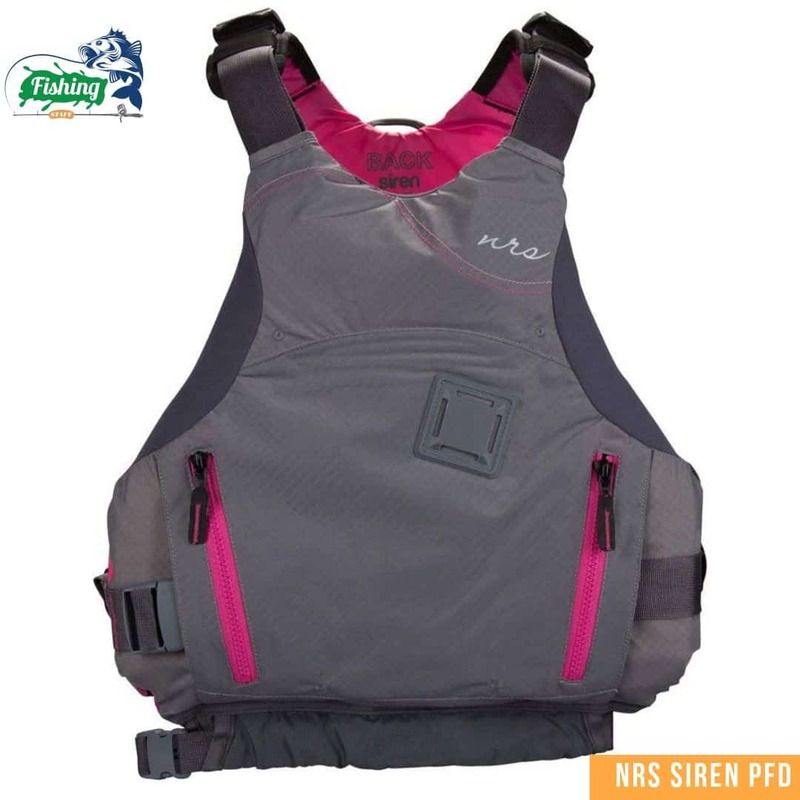 NRS PFD are known for their amazing quality and top-notch performance and the new Women's Siren life jacket is no different; this urethane-coated ripstop nylon made life jacket comes with six independent panels with ultra-soft raised foam that features Cool Flow System (CFS) to provide not only superior ventilation but also incredible comfort on your fishing trips. These foams also allow the vest to flow with your movement to increase the buoyancy level and floatation rate. Furthermore, the stretchy material and the six adjustments points of this life vest make sure that you have a custom fit all around and can enjoy incredible comfort in the chest area and arm openings. In addition, the Underwriters Laboratories (UL) tested this NRS PFD before the US Coast Guards provided a Type III certificate to assure maximum safety to its wearer. 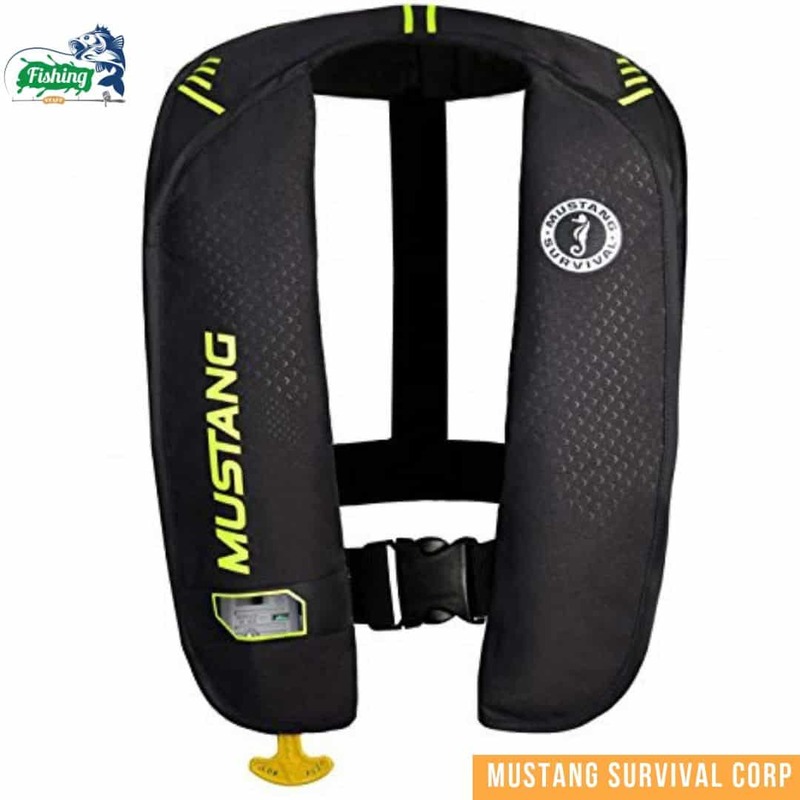 This Mustang Survival Accel fishing life jacket is 100 mph dynamic strength-tested and was specially designed and approved by professional anglers, to make sure that the quality and performance of this cheap life jacket is top notch, comfortable and most importantly safe.This fishing PFD is considered to have the highest speed-rating in the market compared to its market competitors. Mustang constructed this life jacket using supreme quality nylon material and incorporated fleece-lined collar and pocket to make sure that the user remains warmer in even the chilliest of weather conditions. This feature makes this PFD the perfect choice for fishing enthusiasts or professional anglers who enjoys fishing in early mornings. Moreover, the jacket body also includes strategically segmented AirSoft™ foam panels that flex as you move to ensure ease of movement and provide highest safety measures. 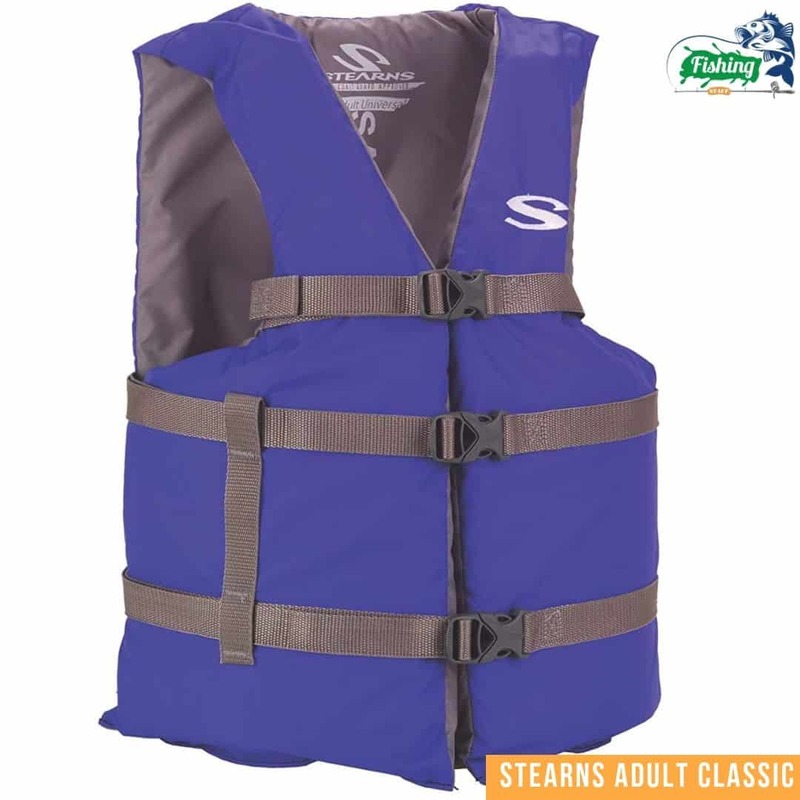 Even though this Stearns Adult Classic Series Vest is US Coast Guard-approved, it is one of the cheapest kayak life jackets available in the market; Stearns constructed this vest with premium quality durable nylon material featuring 3 buckle straps that not only offers safety but at the same time provides a customized fit to the user. Moreover, this no-frills, side open low-profile PDF allows you to move your arms and upper body freely without any hesitation and uncomfortableness. But while keeping the price range low, Stearns had to cut back on the foam and storage space from this life jacket which results in attaching your whistle and flashlight and other things somewhere else and not on the jacket. Stohlquist economically designed this Piseas Personal Floatation Device to be one of the cheapest inflatable life jackets available in the market. But cheap price doesn’t always mean cheap, low quality; it is built around comfort, safety, and practicality. Stohlquist constructed this PFD using nylon with a sturdy 420 denier shell and a 210 denier oxford liner to ensure great performance and extended durability. 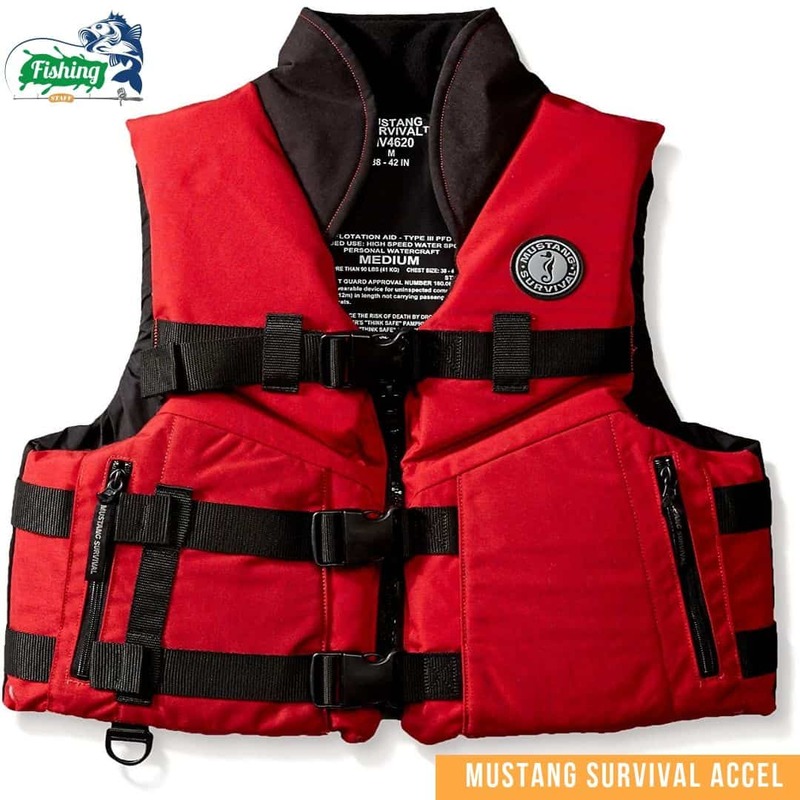 To add more, this life jacket features open sides for more comfort and better ventilation. Furthermore, this Piseas Personal Floatation Device incorporates neoprene padded lower back waistband and 1 ½ inch adjustable webbing shoulder straps for additional comfort and maximum safety. 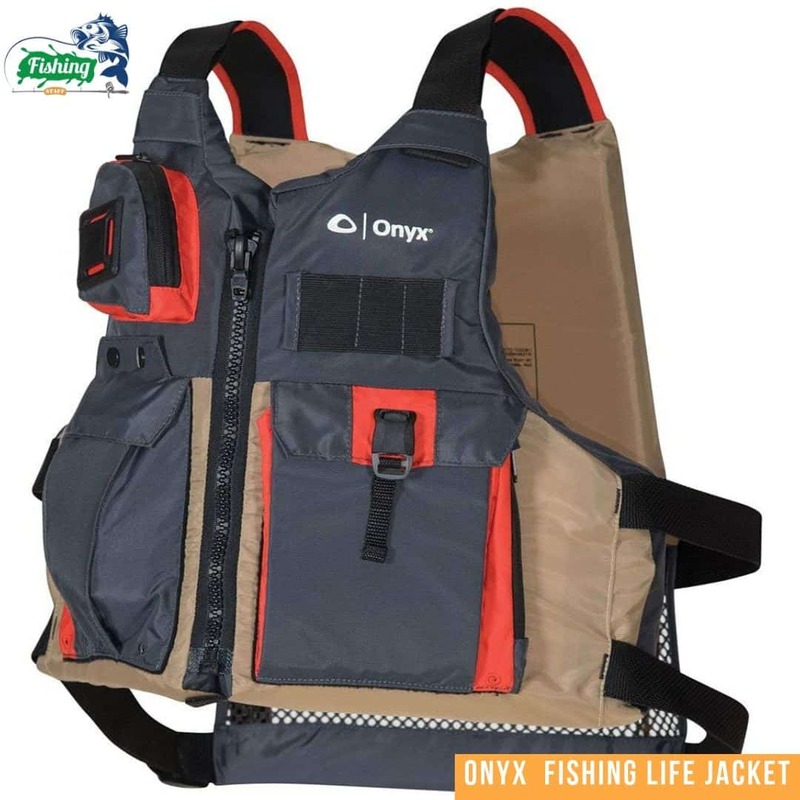 While this ONYX Kayak Fishing Life Jacket might be one cheap life jacket to buy, but it still manages to be one of the best inflatable PFD for fishing all because of the performance and safety measures it offers to its users. This ergonomically designed life vest is made using 400 denier nylon oxford and a mesh back to not only ensure amazing ventilation in the warmer months but at the same time provide superior all-day superior comfort. The six adjustable straps that are incorporated in this life jacket assures that the wearer has a custom fit and makes sure that it hugs your body like a glove for ease of movement. Moreover, ONYX added 3 zipper pockets, 4 Velcro pockets to this cheap neoprene life jacket to provide the users with lots of carrying space. 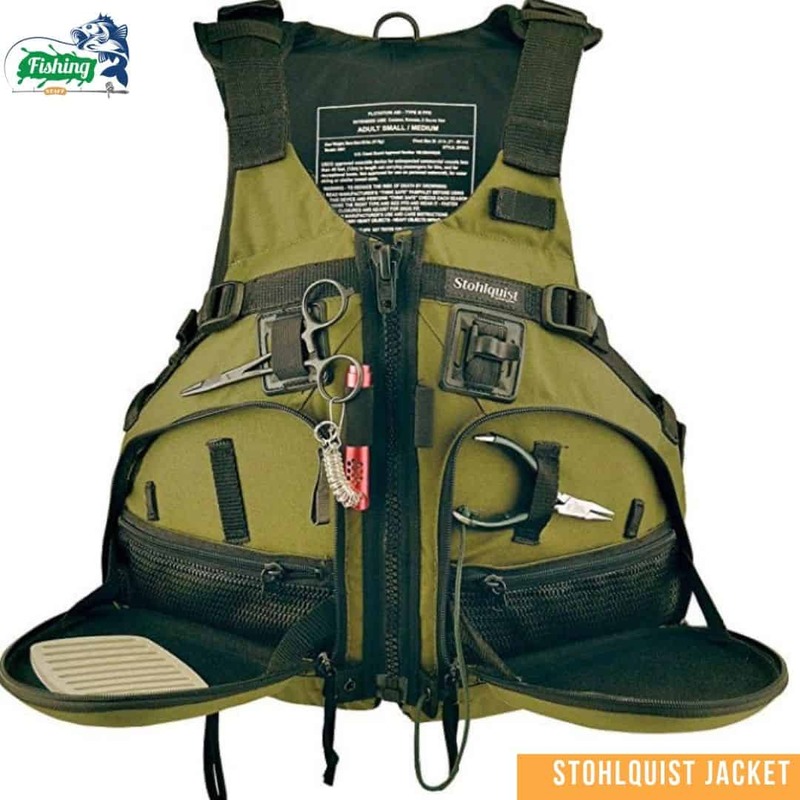 This Stohlquist Fisherman Personal Floatation Device is considered as one of the best kayak fishing life vests that you will find in the market because of the neat, low profile and tough design that it offers to its users; it features an ergonomic WRAPTURE™ shaped torso covered with a heavy duty shell made from 500 deniers Cordura and a softer oxford lining for more comfort and plenty of buoyancy. At 16 lbs. 4 Oz. sea level buoyancy and soft floatation foam, it helps you to float with ease and comfort. To add more, this US Coast Guard Approved Stohlquist PFD features open sides and five safety straps that can be adjusted according to your preference for a custom fit and full arm movement without any difficulties. There is also an adjustable cross-chest cinch harness to prevent the vest from riding up your body. For both kids and adults, a life jacket is a must-have accessory while enjoying the ocean, river or any water environment because a life jacket ensures maximum safety and helps you to float even when the conditions are adverse. Always check on the latest state laws before buying your ultimate life jacket as many states in the US has very specific guidelines about water sports and the PFD used especially when a child is involved. V PFD: Special PFD that consists of all the other 4 mentioned above. Life jackets are made from two most common materials. They are Nylon and Neoprene. While nylon is relatively cheap and makes the vest lightweight, neoprene material offers more buoyancy and better fit and comfort. Therefore, before buying make sure which material is going to serve your purpose right. It’s important that a life jacket fits snugly to the body. That’s why you must be sure about the size before buying your PFD. Life jacket size varies from men to women to children and even your pets. So first be sure for whom you are buying the vest and then carefully select the size. One of the most important aspects that you should keep in mind before buying a PFD is the safety measures that are offered; it’s wise to buy a vest that has been approved and certified by the US Coast Guards. Pockets: having more than a few pockets in the vest enables you to carry important accessories with you. Mesh lining: mesh lining ensures more ventilation and breathability and thus more comfort. Color: Bright colors makes you more visible even from quite a far distance. Buckle Quantity: the more the zipper, the more customized fit you will enjoy. A life jacket and a personal flotation device or a PFD are not the same. Even though in many cases these two have similar features and serves similar purposes, there are more than a few notable differences between these two. Life jackets are designed to hold up and turn a person face up if they are unconscious in the water. And that’s why they are heavily padded with most of the padding being in the front to float a senseless person for an extended period of time. To add more, for extra paddings, life jackets have more buoyancy for added safety. Personal flotation devices are not as heavily padded as a life jacket because they were designed to keep a conscious person floating in calm condition; a PFD will keep you afloat but it won’t flip you from a face-down position. Because of less padding and back floatation mechanism, PFD offers less buoyancy to its wearer. All kinds of things do have an expiry date but not your life jacket; an exact expiration date is not stamped on the label of a life vest because a PFD lasts as long as its outer shell is intact. The foam inserts remains intact because they are not directly exposed to water, and wear and tear.
. Over time and regular use, the outer material faces damage and can lose usefulness which can severely affect the jackets performance. 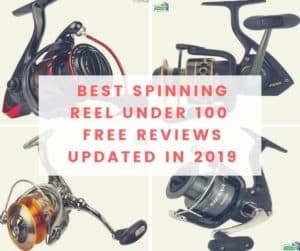 And that certainly should be the time that you look for buying a new one immediately to assure your safety during your fishing trips. Nylon: Generally, nylon is used to construct the outer part of a life jacket as this fabric can withstand extended contact with water and provide extended durability. Nylon webbing: Durable nylon webbings are used to construct the straps of the life jacket to makes sure that the straps don’t shrink dues to severe water exposure. Foam: The interior of a life jacket is made from either polyvinyl chloride foam or polyethylene foam that doesn’t absorb water and hence ensures superior floating ability. Metal/Plastic: Durable metals or high-quality plastics are used to make the various fasteners of a life jacket to make them more secure for the wearer. All the life jackets and personal floatation devices listed above are tested to the core and then added to this list for more accuracy of information. These are some of the cheap life jackets you will find in the market that will provide you with all the features and performances and even more than that they have promised. These PFDs ensure the best value of your money and we can guarantee that you won’t be disappointed after buying any one of them.